All about flights, rail and freight connections with Bulgaria. Hi Shelly, well, Im afraid I cant help, Im looking for exactly the same info, and have just posted a similar message. Although looking at the date you posted and there as been no reply, I dont hold out much hope, come on guys!!! Shelly, if you have moved by now and have further info please email me, if I get any info I will post it here. Hi, We have just moved with all our household goods from the Uk to Bulgaria. We got quotes from different shippers and then picked the lowest. They then insisted we use their packing agent for an extra £500, a bit annoying but probably money well spent. The most hassle was clearing the goods at this end. We used NTZ agency and they did get the job done but the customer service in their office was pretty woeful.Lemme know if you have any specific questions. Signing up for Premium Membership offers a lot more benefits! Is there anyone that knows a reliable company that can ship 2 single beds to Varna for me please? I've tried everywhere but it's so expensive! 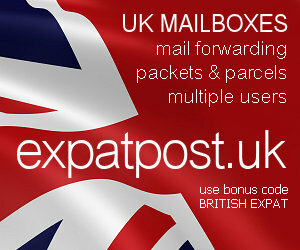 Mention British Expat when you join and get an extra month free! Marks & Spencer now offer international delivery to over 30 countries!